Home » Probiotics in Foods and Supplements: Should You Take Them? What if I told you that 2–4 pounds of your body weight isn’t you, but rather the micro-organisms that live on and inside of you(1)? Trillions of bacteria, viruses, and fungi inhabit your digestive tract and skin, with substantial effects on your health and personality. When the body’s microbiome goes out of sync and harmful microbes begin to displace beneficial ones, symptoms will arise, and action must be taken to prevent serious health damage. If harmful yeasts or bacteria are overwhelming your system, follow these four steps to get back to optimal health. As a basic starting point, I talk with all my patients about their eating habits and lifestyles. For anyone with a microbiome imbalance, I recommend completely avoiding added sugars, white flour, dairy, alcohol, and fruit juices. If a patient’s home or workplace contains high levels of mold or dangerous bacteria, precautions must be taken to eliminate the environmental toxins or minimize contact as much as possible. I also look for food sensitivities that contribute to intestinal inflammation and remove those as well. Many digestive problems arise when our bodies stop making enough enzymes to digest the food we consume. 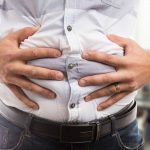 By supporting the production of stomach acid with supplements like betaine hydrochloric acid, and replacing other digestive enzymes like lipase, amylase, protease, and biliary salts, we can help our body digest and absorb foods better. Consuming a wide variety of vegetables and fermented foods is the best way to naturally rebuild a diverse and healthy microbiome. Contact with nature and healthy people can also help. In many cases, taking carefully selected, high-quality probiotic supplements can accelerate the process and improve patient outcomes. Two important points about gut bacteria: you want to aim for both diversity and abundance. 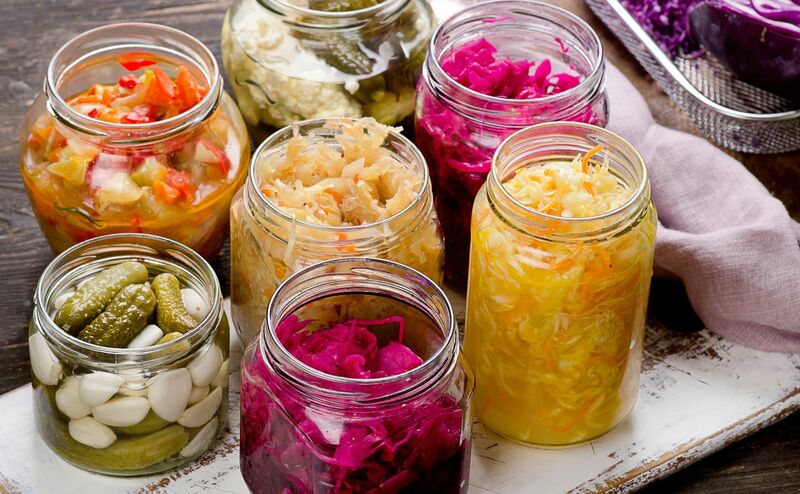 High-quality fermented foods often contain many times more probiotic cells than do probiotic supplements. Fermented vegetables can contain trillions of beneficial microbes in a single serving, while most supplements provide 1–50 billion live cells. My top fermented foods for naturally healthy microbes include raw sauerkraut, natto, miso, kimchi, fermented vegetables in general, coconut kefir, and water kefir. I do not recommend kombucha as a fermented food – it contains yeast and usually sugar, which problematic yeasts also love. For an excellent sauerkraut recipe, visit my earlier blog. To revitalize the gut microbiome, we use specific strains of probiotics for certain conditions, as well as a broad-spectrum spore probiotic called MegaSporeBiotic. Studies have shown that spores increase the diversity of the gut microbiome, which is particularly helpful for treating SIBO (small intestinal bacterial overgrowth). 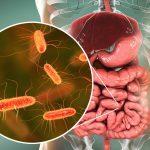 Specific strains of microbes that can effectively treat certain conditions include Saccharomyces boulardii, which is good for relieving travelers’ diarrhea, parasites, and C. difficile colitis – S. boulardii is actually a yeast, not bacteria. To learn more about which strains are useful in treating different ailments, here is a great article. Vegetable broth made from celery, onions, garlic, and leafy greens are useful for people with particularly damaged or sensitive systems to start with. Bone broth is also soothing with its high levels of collagen to help repair the intestinal lining. Additions like turmeric, cinnamon, oregano oil, and coconut or MCT oil also help kill pathogens. And be sure to get plenty of healthy fats from wild fish, olive oil, and flax seeds. My favorite supplement which has been shown to regenerate the gut lining is L-glutamine. I find that the powder form is easily absorbed and works the best when taken away from meals. There has been a lot of talk in the media lately about whether probiotics are safe. In general, probiotics are safe for most people. However, they are thought not to be safe for acutely ill or septic patients who have severe intestinal permeability (leaky gut), or for people with compromised immune systems, such as during chemotherapy, as the bacteria can enter the bloodstream and worsen sepsis. Probiotics may also not be tolerated in patients with SIBO, as they can lead to painful bloating. Also, patients with histamine intolerance may not tolerate histamine containing foods, including fermented foods and processed meats, which can worsen their symptoms. So, it is important to gain a full, clear picture of the state of your microbiome and how your body reacts to different foods when addressing any imbalance and deciding which strains of probiotics to consume. To find out if probiotics can help you, schedule a consultation at Vitality.